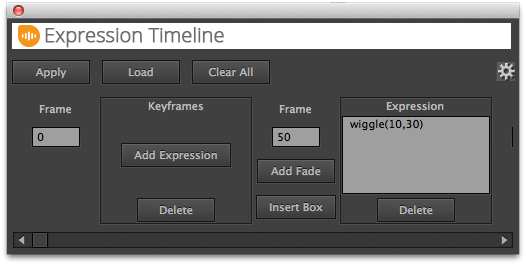 Version 2 of ExpressionTimeline has an improved interface where the width of the timeline automatically adjusts to the width of the panel, so there's no need to adjust the size manually. From the beginning until frame 50 use the keyframed values and after frame 50 use a wiggle expression. Smoothly transition from one expression to another. So, if the first expression is active from frame 0 to 50 and the second from frame 50 until the end, the smooth transition between the two expressions will be 10 frames long and thus last from frame 45 to frame 54. With the expressions in this example, the layer first follows another layer (expression 1) until frame 45. Then until frame 54 it smoothly transitions back to its own position while simultaneously beginning to wiggle (expression 2). 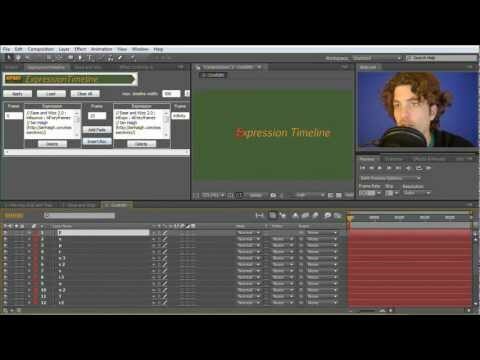 Upgrade Notice: If you bought Expression Timeline 1, you can upgrade for free. Make sure you are logged in to the same account with which you bought v1 to see the special upgrade price. Contact support if you have any questions. 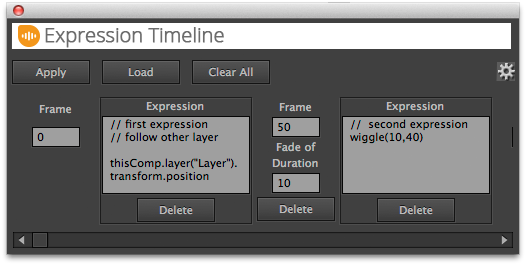 The ExpressionTimeline allows to combine and modify expressions without touching the code. In this tutorial we look at three examples for a creative text reveal that is based on expressions. And don't be scared - you don't need to write any expressions code to follow the tutorial. In this After Effects tutorial we will combine the ExpressionTimeline with the plugin Plexus to create an impressive title animation. 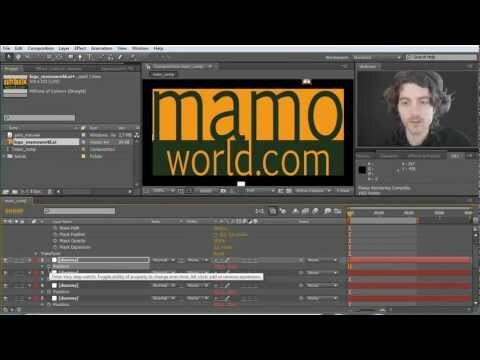 In addition I show you a useful expression to loop the keyframes of a property.